The day we got our marriage license our wonderful Texas friends threw a huge "Pre-wedding" party for us. The venue was so beautiful and we did a "potluck" which was just so much food and drinks that we had to take a lot home with us. 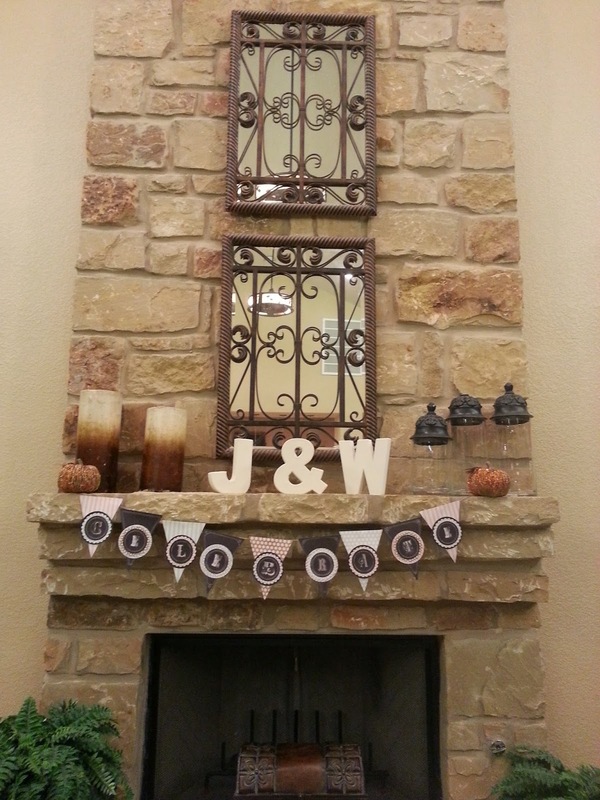 The decorations were, of course, Fall themed and we were able to get amazing deals from Michael's and Hobby Lobby. 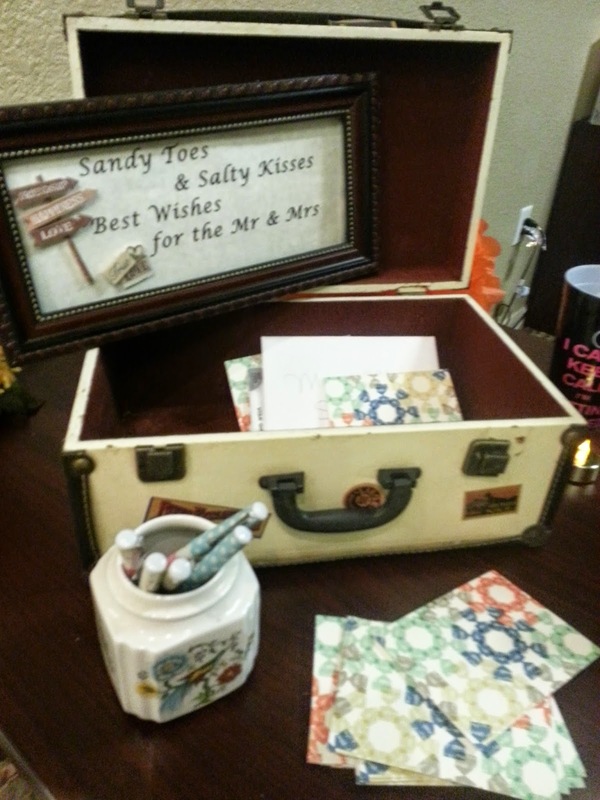 A great friend who planned the party, brought the cutest antique Birdcage and suitcase for the guests to send us off with wedding wishes for our destination wedding in Dominican Republic. 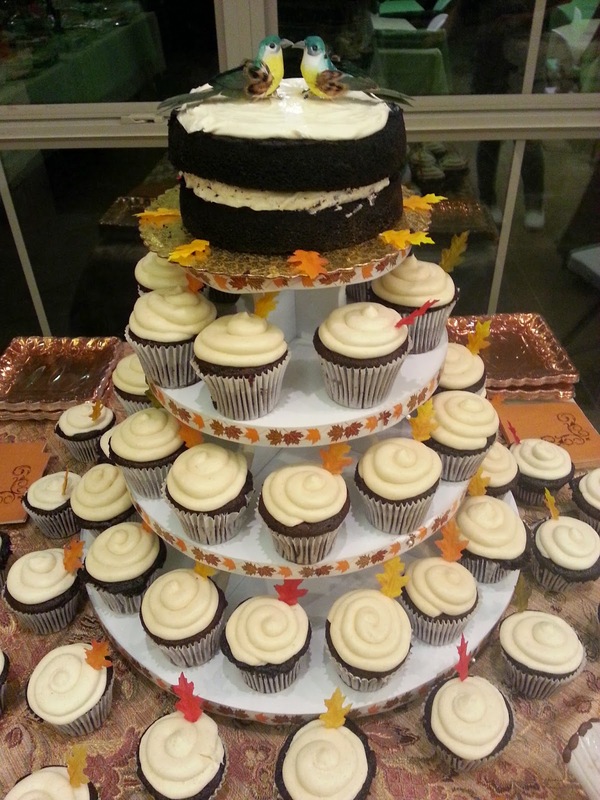 Another friend helped me bake the cupcakes, from scratch, and of course I had to DIY something. I glued silk "fall" leaves to toothpicks and served as toppers. I chose to have a bear chocolate cake with vanilla bean butter cream on top and the toppers were birds I found at the Dollar Tree. (Yup, you read it right!) 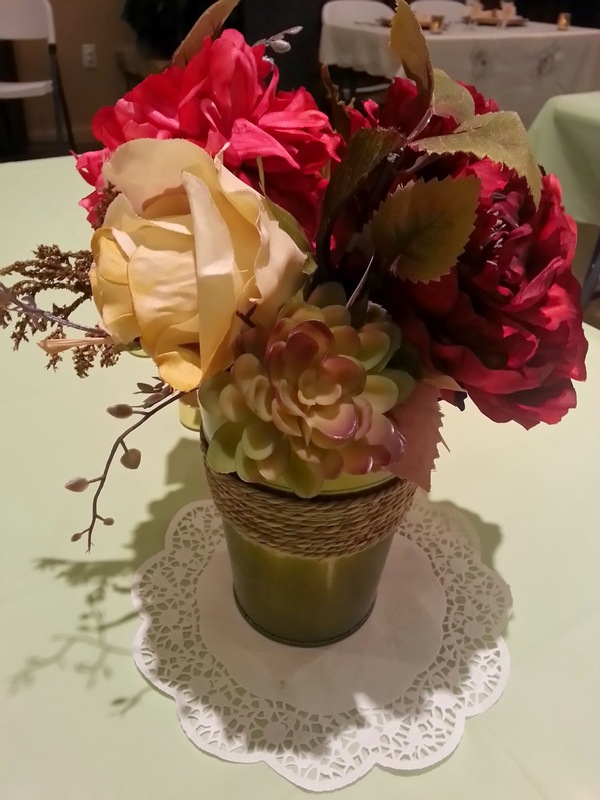 The center pieces were bouquets from Hobby Lobby with artificial succulents from Michael's. Other decorations like paper lanterns and banners were from Party City. All in all, it was pretty, low cost and we had soo much fun! 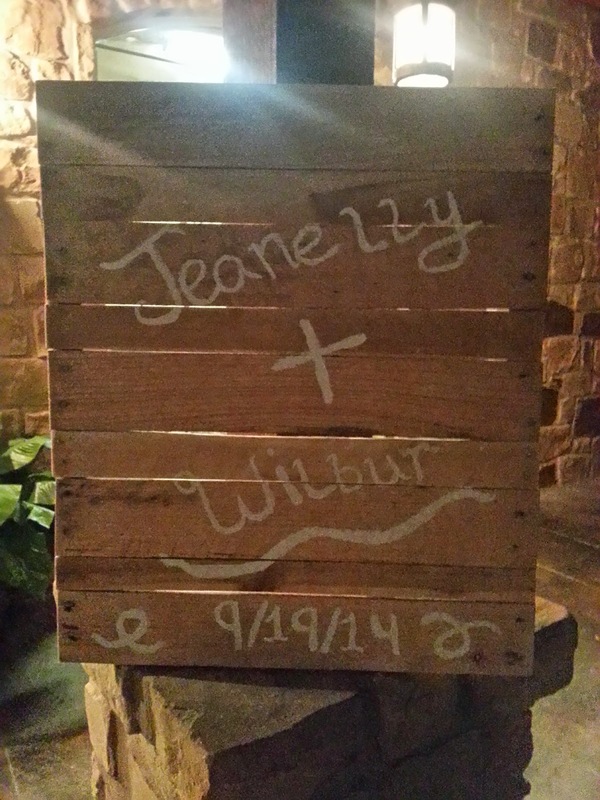 El día que buscamos nuestra licencia de matrimonio, nuestras amistades de Texas nos hicieron una fiesta "Pre-boda". El local estaba bellísimo y todo el mundo trajo un palto de comida o bebida. Era tanta, que nos tuvimos que llevar mucho de regreso a casa. La decoraciones eran otoñales y logramos conseguir tantas cosas en especial de Michael's y Hobby Lobby. 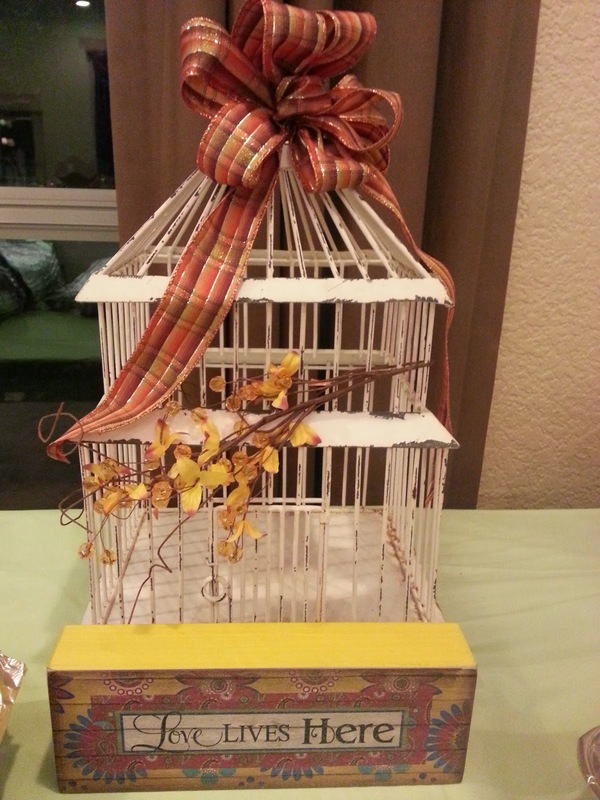 Mi gran amiga, quien planificó la fiesta, trajo una jaula de pajaros anitgua y una maleta decorada para que los invitados dejaran sus mensajes de buenos deseos para nuestro matrimonio y boda en República Dominicana. Otra amiga me ayudó a confeccionar "cupcakes" y el bizcocho. Claro que tuve que hacer algo a mano. Pegué hojas de seda a palillos para los cupcakes y los pájaros del bizcocho son de Dollar Tree. Los centros de mesa fueron hechos con arreglos florales de Hobby Lobby y plantas artificiales de Michael's. Todo estuvo muy bonito, con bajo presupuesto y lo más importante es que la pasamos de maravilla!